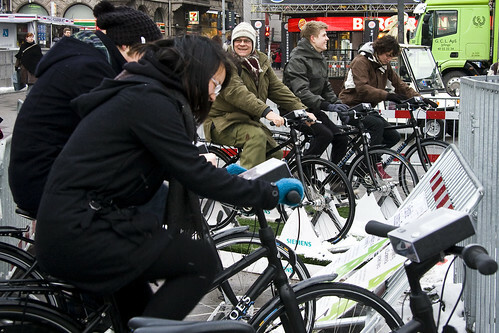 The national christmas tree on Copenhagen's city hall square was lit by stationary bicycles up to and during the climate conference. Now the square is almost back to normal now that the world has left, with the whole Hopenhagen town setup removed. 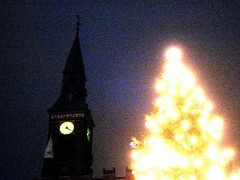 The christmas tree is now plugged in and running on electricity and the bicycles have been removed.